To many the twinkling lights of holiday cheer are reminders of a home one doesn't have, and the blanket that had offered a taste of rest will be unable to cushion against a frozen ground. What I am wondering tonight, is can this fading warmth actually stoke our abilities? 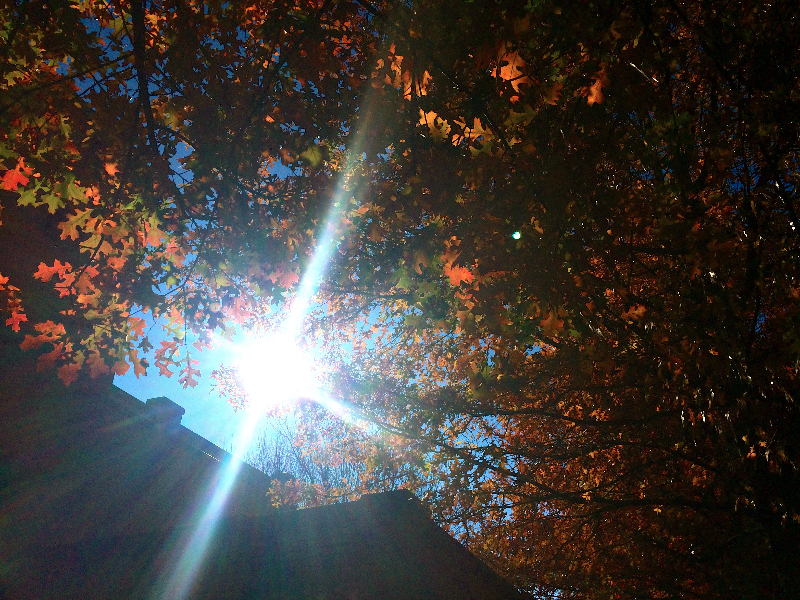 Will we manage to take inspiration from the dying leaves burning in bright defiance against a cold, stark sky? Can the challenges of winter create champions of us all? I almost wrote that I hope it does, but I once read that hope is based on fear. And while fear is a strong motivator, it does not provide nourishment; action based solely on fear will be short lived. So even if fear be the initial spark, let us stoke our bonfires with compassion and sustain these flames on a love of community. And just to pour a little herbal fuel on the fire, please enjoy these recipes for herbal holiday gifts. May you be warmed by cinnamon and ginger from your hearts to your toes. 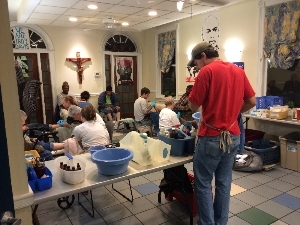 Each month we make the rounds to our Atlanta stations. We follow up with our patients from previous stops and take on new ones. We dispense information and herbal formulas we hope will help to remedy their health concerns and strengthen their bodies and minds to face life's many challenges. We share tea and we share time. We listen. We offer encouragement and support. And by returning every month, by being a service one can depend on, we offer a sense of security, something all too often missing in our lives. We aim to offer healthCARE, in the truest sense. And we wish thank all of you, who in turn, have cared for us; we thank our community for supporting this Herbalistic dream through your kind words, generous donations, and inspiring actions. one stop at a time! Consider becoming a monthly sponsor of our work at the Herbalista Free Clinic. 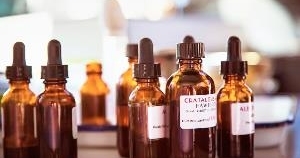 Herbal medicine is the oldest and most widely used form of healthcare in the world! Effective, affordable, environmentally friendly, and tantalizing to all the senses, herbs are a vital part to a healthy present and future! Lorna is a general practitioner and has experience aiding children and adults with a variety of issues. She works with the patient to address current concerns and achieve their health goals. To schedule an appointment, please contact the office at Lorna@Herbalista.org. It's that time again - the annual GHG Holiday party! Join us as we share sumptuous food, spiced cordials, and fabulous company. This potluck and silent auction also serves as our annual fundraiser, allowing us to continue sponsoring herbal education for our local community. All the herbalistic party details will be posted to our Yahoo Group and on Facebook. 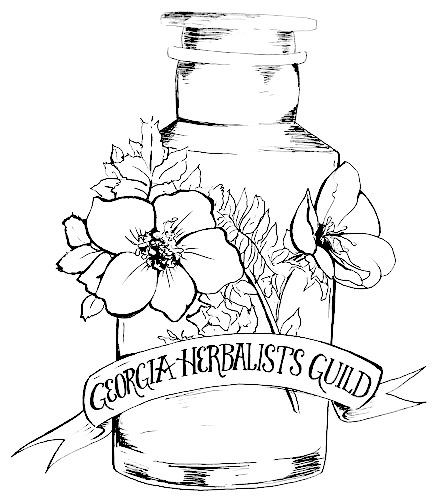 For more about the Georgia Herbalists Guild, click here. Training for the new Herbalista Free Clinic service project, the Herb Cart, begins this coming January! The Herb Cart is a mobile herbal first aid station that will set up at soup kitchens in service to our friends on the street. 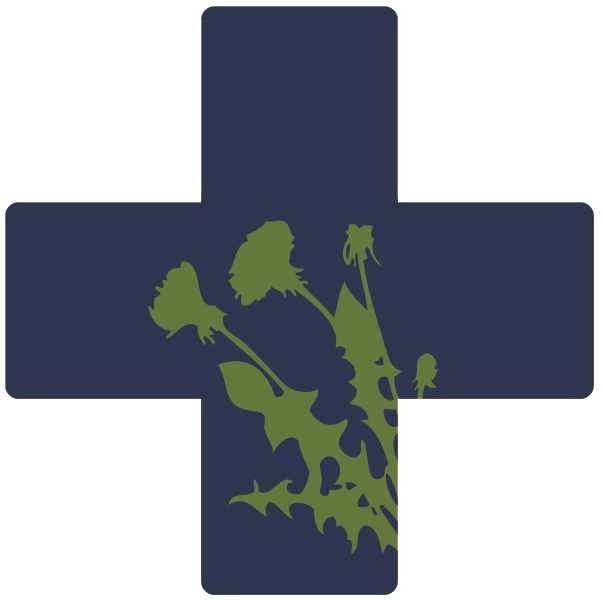 Each weekend training will cover herbal first aid basics, Herb Cart protocols and procedures, and more. For full details, please click here. 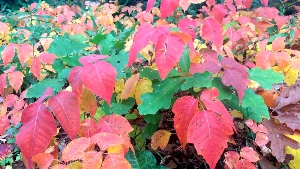 Poison Ivy in its fall glory. 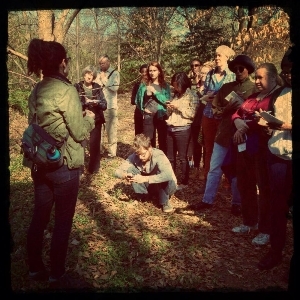 Remember, foraging is not only about knowing what to gather but what to avoid and be careful of. There are wonderful medicinal and edible plants growing all around us, even right here in this urban jungle. Learning our local plants improves health, reduces oil consumption AND provides security in knowing that what you need is growing right out your backdoor. Click here to see what's in season around the Atlanta area with month-by-month picture galleries. Lorna Mauney-Brodek is a traveling herbalist, medicine maker, wildcrafter, and teacher who dedicates her herbwork to promoting diversity, environmental responsibility, and social justice. 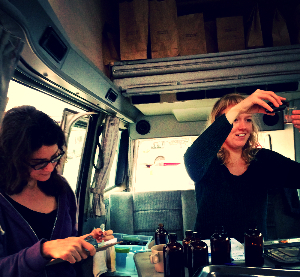 She offers a sliding scale herbal clinic in East Atlanta, coordinates the Harriet Tubman Free Foot Clinic, and proudly helms the Herbalista Free Clinic's Herb Bus, providing earth-based care to underserved populations. She teaches at various venues around the southeast, including the BotanoLogos School, the Blue Ridge School, and the Homestead Atlanta. Copyright © 2014 Herbalista, All rights reserved.